New parent pamper session - bring your baby! The Sheffield Wellness Centre is proud to host a very unique type of pamper session. One where the focus is completely on you but where you can bring your baby along. Taking all the stress out of getting a massage while treating yourself to something a little special. Infamous local blogger Naomi from Trips With a Tot came along for a pamper party with a few of her friends and had a great time. "It was so nice to switch off from the rest of the world and my thoughts and everything else going on and just focus. I’ve felt soo relaxed since and it’s amazing really what just one day session like this can do"
Everyone has heard of baby massage but what about massage for new mums? Your baby is here and that is wonderful but it can be relentless can't it? So much time and effort and thought is put into that new little person but you need some me-time too. "How do you get me-time when you have someone who needs you 24/7? " A change of scene, some time to unwind and just half an hour to yourself would make SO much difference. But what to do with baby while you are recharging your batteries? The only way you can look after a small baby is by occasionally looking after yourself. We help you to do just that. At your New Parent Pamper Session with babies, your host will welcome you into the studio at The Sheffield Wellness Centre and settle you into the calming and serene surroundings. There will be easy chairs for you to make use of, a cushioned floor area to help you and your baby feel comfortable and special baby bean bags to snuggle your little one into to. Comfortable chairs to feed in, plus bottle warmers should you need, and plenty of spare muslin cloths. Your host will provide you with a selection of drinks and make sure you are able to drink hot drinks while they are still hot! 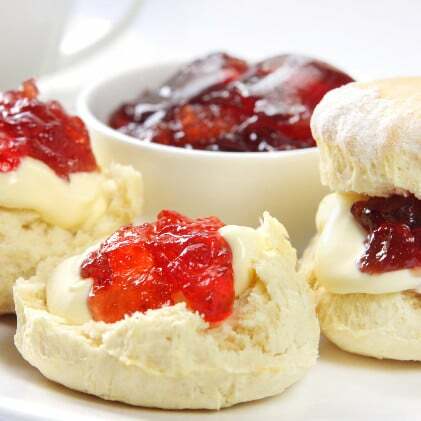 There will be a fresh home made cream tea to tempt you while you relax to the soothing music and inviting atmosphere. What kind of massage to choose? Let us know! There are many kinds of massage, you can let us know if you'd like a particular style, or just chat with your therapist before your session. Your host will provide you with a robe and private changing area and you will enjoy your 45 minute massage of choice . Once completed you will be able to change at your leisure, relax and enjoy a lovely cuddle with your baby who has been completely looked after by your friends. What do you get at a pamper party? How much does the pamper party cost? New Parent Pamper Sessions cost £49 per person (+£5 with a glass of prosecco) for groups between 2 and 4. Simply email fi@bumpsandbirths.co.uk or ring 0114 383 0607 to start the process. New Parent Pamper Sessions can be booked for Wednesday, Thursday or friday between 10am and 3pm for most days (some restrictions apply) weekends may be available but a surchrage of £10pp applies for these sessions. As we are not offering a baby sitting service you need to have a minimum of two people per session to allow someone free to attend your baby if they need a cuddle. The maximum we can accomodate is 4 people. So simply arrange a date with your friends and we'll do the rest. Once we have confirmed your date we will issue you with a booking email with all the details about how to pay, where to come, what to bring and you're all set. You will need to complete a short consultation survey which can be done on the day or prior to your event to ensure the best experience for you all. Based on Abbeydale Road The Sheffield Wellness Centre is an oasis of calm and tranquility. Come through the cobbled courtyard of The Old Coach House and admire the vintage and antiques and flowers all around. The old stables and blacksmith units have been lovingly restored to show case a range of independent businesses while the trees and stream provide natural background sounds. Located up one flight of stairs The Studio at The Sheffield Wellness Centre is easy to get to and will make you feel a million miles away from the stresses and worries of everyday life.